This form only your reservation inquiry. 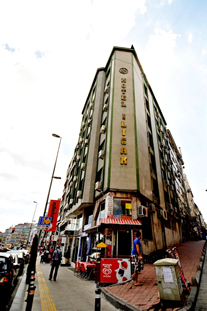 Thank you very much for your precious interest in Ilıcak Hotel istanbul. All requests will be replied in less than 6 hours. Open buffet breakfasts, Internet Access (wireless) all rooms and all area. All taxes. All cancellations should be made at least three days prior to the check-in date, else one night's charge will be billed to the card.